The wait for another album from instru-metal masters Pelican is nearly over, as the Illinois outfit have announced a long-player titled Forever Becoming will hit retailers October 15 through Southern Lord. A press release notes that the eight-song set was recorded at Chicago's Electrical Audio facility with Chris Common (Chelsea Wolfe, These Arms Are Snakes). 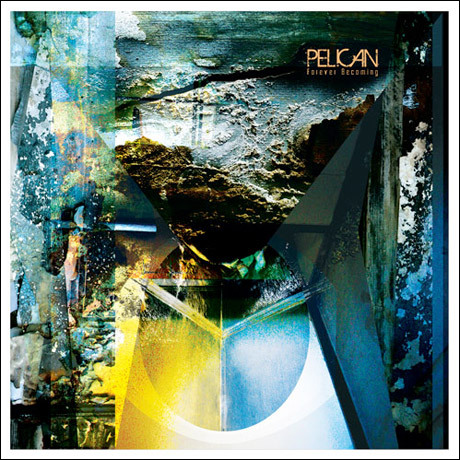 While the quartet issued their Ataraxia/Taraxis EP in 2012, this will be the first full-length offering from Pelican since 2009's What We All Come To Need, which was also recorded by Common. This is the first release from the group since the departure of guitarist Laurent Schroeder-Lebec, who pulled himself off the touring circuit in 2010 before officially quitting Pelican in 2012. As previously reported, his replacement is Dallas Thomas. The LP is described as a "meditation on the acceptance of mortality and its place in the eternal cycle," with its eight tracks cascading from "pummelling metal, to contemplative ambience, to melodic catharsis." You can check out the set's equally atmospheric and aggressive "Immutable Dusk" down below, where you'll also find the album's tracklisting and a few U.S. tour dates.